Please feel free to learn more about Prospect Hill Cemetery's historical persons by clicking on the above histories links. Originally a booming whaling port, Nantucket has been named a National Historic District and has architecturally changed little since the 17th century, as seaside cottages and old-fashioned lamps still line its streets. At the harbor front, where the great whaling ships set out on their hazardous journeys to return years later - if at all - pleasure boats now find safe harbor in one of the finest docking facilities in the world. Inland on this idyllic "elbow of sand," the wild moors open to the endless sky. Nearly 40 percent of Nantucket is protected conservation land. Several areas and habitats, natural groups of plants and animals, are rare to this region and even the world. Come to enjoy this natural beauty and protected land where the springtime blossom of daffodils and forsythia give way to summer's lush flowerings of roses and hydrangea, and, perhaps best of all, the rich tawny hues of autumn. Walk the wide sandy beaches, as beautiful as any in the world. Swim in the still, sparkling waters of Nantucket Sound to the north, or brave the mighty Atlantic along the island's south shore. Let the pounding surf, and clean, salty air restore you. Try your hand at surfcasting for stripers and bluefish or charter a boat for deep-sea fishing. Catch a breeze on a sailboat or a windsurfer. Take in the boutique shops, and explore the art galleries and museums. Celebrate Nantucket's cultural offerings year-round with theatrical performances, music, art, film, and literature. Sign on for a guided tour of the island or pick up a picnic lunch and rent a bike, a good way of discovering Nantucket for yourself. Where to stay? The choice is wide ? from a historic Nantucket bed and breakfast, to a luxurious, full-service hotel. For a longer stay, private home rentals are available all over the island. Restaurants abound! Whether for a beach picnic, an informal meal, or gourmet fare in sophisticated surroundings, there is something for everyone. How about a clambake prepared to your order? 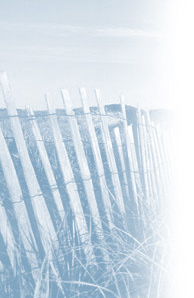 Fresh Nantucket seafood, especially the Nantucket bay scallop, provides unforgettable dining. Come to Nantucket any time of year by boat or plane. Although a summer destination for many people, an off-season island visit is a special treat. Autumn on Nantucket is glorious, as the gardens of late summer are still blooming and the sun-drenched days are warm enough for swimming right through September. Celebrate the Annual Christmas Stroll the first weekend in December as part of a month-long Nantucket Noel celebration when the air is crisp, the shopping unhurried, and the island is dressed for an old-fashioned Christmas. Then come celebrate with us in April when millions of daffodils herald the coming of spring. Whether you are drawn to Nantucket for its historical integrity, natural beauty, cultural offerings, world-class dining or shopping, or simply the relaxed atmosphere and island-style way of life, we appreciate your interest and hope that you will visit us.